How To Mount VM Images with Guestmount? guestmount is a tool used to mount VM images. This VM images can be different formats like qcow, vmdk, vdi etc. In this tutorial we will examine different use cases about guestmount. Normally guestmount mounts the disk or partition with read-write options if you want to mount readonly use -r option. We can not write anything to this image which will made safe for modifications. Specifying partition is not a must. We can use -i option to automatically look for partition with guestmount. We can enable SELinux support on disk image with –selinux option. 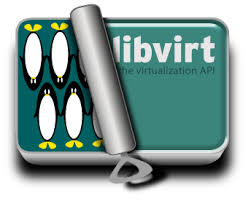 How To Clone VM with Libguestfs? How To Configure RIP Routing For Cisco IOS? Thanks for this. I’m adding this syntax to my notes.